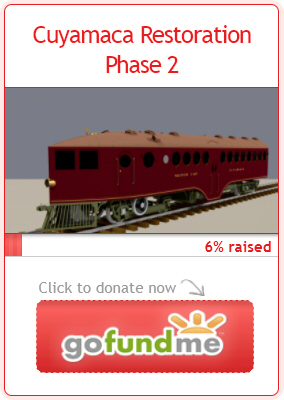 Norfolk Southern Railroad | The McKeen Motor Car Website Norfolk Southern Railroad | The Compendium of Knowledge on the McKeen Motor Car Company, and their experiments. 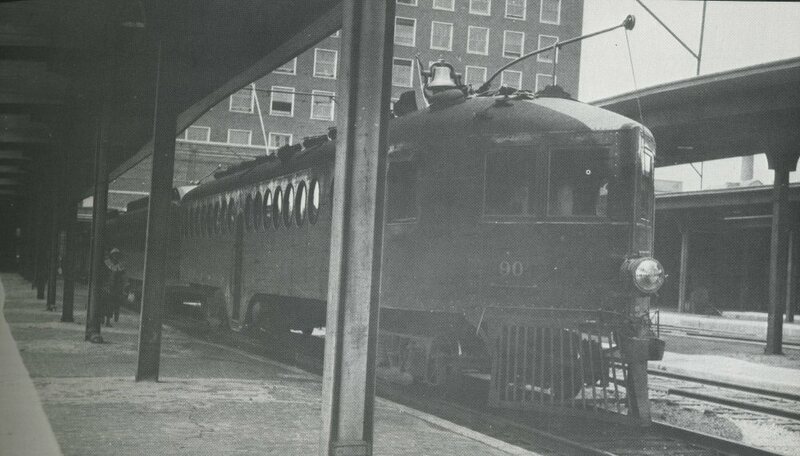 This is the McKeen Motor Car #90 shown at Norfolk Southern’s Main Street Yard about 1910. It was known as the ‘Sportsmen’s Special’ and the ‘Lawyer’s Special’ because it’s destination was Munden Point. It stopped at the Princess Anne Courthouse, enabling lawyers to arrive in time for court and depart on the return trip in the afternoon. 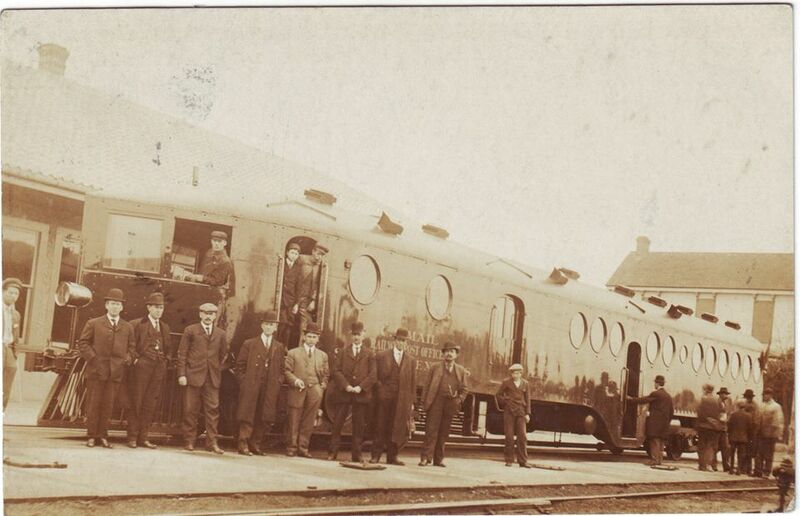 Photo of first trip with the railroad officials taken in the summer of 1910. 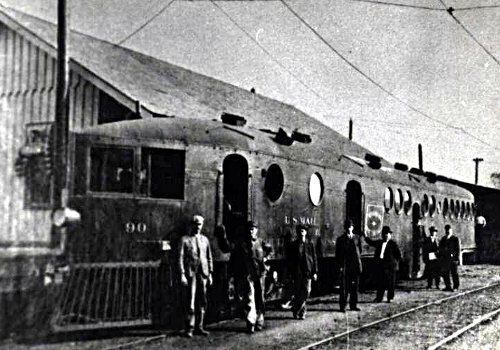 Photograph of the car after being converted to electric in 1925 at the Norfolk, Virginia Station, with corporate headquarters in the background.